Top officials from the Detroit Zoological Society are headed to Beijing, where they’ll lead a workshop for senior staff from China’s three largest zoos. CEO Ron Kagan is touring the zoos in Beijing, Shanghai, and Guangzhou to scope out current animal care practices there. Chief Life Sciences Officer Scott Carter says Kagan will brief the team on his findings in Beijing, so they have a good sense of where the Chinese zoos stand going into the four-day workshop. The Zoological Society’s Center for Zoo Animal Welfare is recognized worldwide for its cutting-edge research on how animals experience life in captivity, and ways their human caretakers can minimize any negative impacts. Carter says the program itself is unique. It aims to go beyond outlining best practices, and help zoo staff really see the world through animal eyes. But Carter says the Chinese Zoo Association is making a concerted effort to improve things. After Kagan spoke to the group last year, they expressed interest in bringing more Detroit Zoo-based staff to China for further education. “They are also interested in taking that next step-- just like we do and many others do--to consider not just how we care for animals, but how we impact their welfare in doing it,” Carter says. It was 1883 when the Detroit Zoo first opened its doors at Michigan Avenue and Trumbull Street, across from what would become Tiger Stadium. 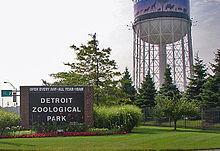 By 1928, the zoo had moved its current home at 10 Mile Road and Woodward Avenue. It's the No. 1 paid tourist attraction in Michigan, drawing more than 1.1 million visitors every year. The zoo's mission has evolved since those early days, shifting from animal care to animal welfare. It's a leader in animal conservation and welfare. Detroit Zoo Executive Director and Chief Executive Officer Ron Kagan gives us a closer look at the ways the zoo has become such a leader in protecting and preserving animal species. The Detroit Zoo announced the largest single private gift in its history Wednesday—and it’s all about penguins. 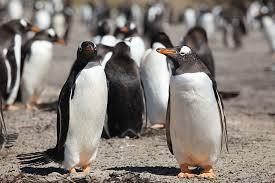 The $10 million gift from the Polk Family Fund will go toward building the Polk Family Penguin Conservation Center. Zoo officials say the Center has been in the “planning and design” phase for two years now. The Detroit Zoo is trying to “wean its visitors off the bottle”—off bottled water, that is. The zoo plans to phase out sales of bottled water over the next 2-3 years. Sarah Pope, the zoo’s manager of environmental services, says bottled water creates lots of plastic waste and other environmental costs. In fact, it’s the number one contributor to the zoo’s plastic waste.